Welcome to The Craft Company, the maker of a range of Pedal Planes for the Junior Pilot. Our range of Pedal Planes are made to fulfil the dreams of young children and provide a simple, safe and healthy means of enjoyment. All our Pedal Planes are made from durable ply timber making them rugged, reliable and long lasting. 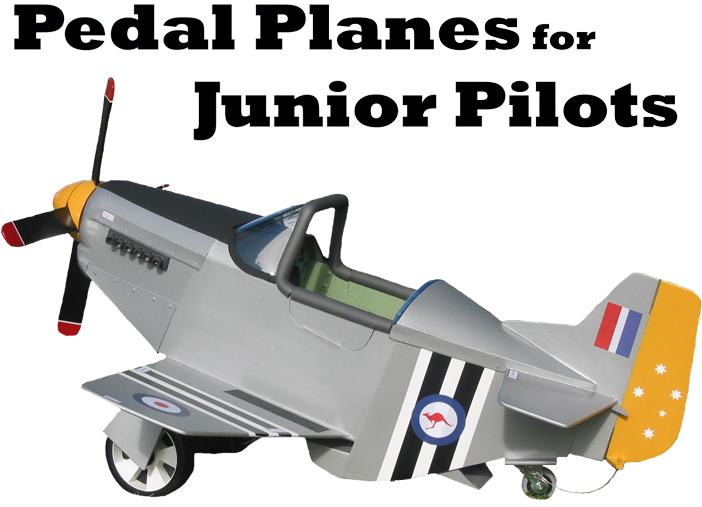 The Pedal Planes come fully assembled ready for the young pilot to "fly" away. Browse through the navigation bar to learn more about the range and features of our Pedal Planes. We can cater for custom designs and colours. Please call for more information.